In 2018, we’ve worked on our earnestness. We’ve reminded each other that it is okay, and in fact usually very necessary and good, to care about stuff. Thus, we will not be closing out this year by saying that New Year’s Eve is overrated. New Year’s Eve is not overrated -- saying “New Year’s Eve is overrated” is overrated. Yes, fine, you don’t want to pay a horrific cover charge to wedge yourself in a confined space with hundreds of strangers, only to have to pee at 11:36pm. This is why most sensible people avoid New York, London, Paris, Sydney, Hong Kong, and any other uber-famous New Year’s Eve parties they show on those around-the-world montages. Those are meant to be enjoyed the same way as late-season NFL games: on a big screen, at home. So you need an alternative. Vegas, Miami, and New Orleans all go off, but unfortunately, too many of you have already figured that out. If you’re looking to ring in 2019 with some travel, and you want a great party that you don’t have to share with the whole world just yet, we suggest these 12 places. May your New Year be better than the old one. The party at Foxy’s returns in full force to ring in 2019. 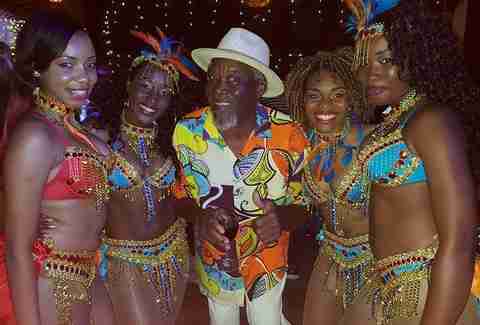 The Caribbean's most sought-after Old Year’s Night party will rage on this year under a theme of “The Nauti Yacht Club” -- costume suggestions include yachtie, pirate, sea creature, and castaway. The party draws yacht owners from around the world to the bay at Jost Van Dyke, plus celebs like Michael Jordan and Richard Branson. They’re all up in the VIP area, but down below there’s an all-night concert on the beach where the young, rich, and beautiful party like only wealthy people on vacation can. Hardy enough to loiter in city streets when it's 40 degrees and drizzly? Boy, has Scotland got an outdoor festival for you. Locals spend the three-day year-end celebration Hogmanay outside, beginning December 30, when a procession of torch-carrying partiers walk from Parliament Square to Calton Hill for a mighty fireworks display. Round 2 goes down on the 31st, when street parties and music festivals dominate the daytime, and 4.5 tons of fireworks over Edinburgh castle dominate the night. This culminates in what some claim is the world’s largest rendition of "Auld Lang Syne," sung by literally everyone pouring out of the city’s bars. New Year's Day brings more outdoor rigors: a run down the Royal Mile, a polar plunge into the River Forth, or the traditional dog sled race. Rio is one of those places that never needs a reason to party, hence its status as one of the best party cities in the world. But on a day when every town on the planet throws a party, it’s no surprise Rio takes care to blow all challengers out of the water at Copacabana Beach. Revelers decked out in all white -- said to bring luck in the new year -- pack the shore, where the summer heat is made considerably more tolerable by the perpetual spraying of Champagne along the sand. At midnight, people ceremonially throw flowers into the ocean as a tribute to the sea goddess Yemanja, though the party is so raucous some don’t even notice. Even on a random weekend in January, South Lake Tahoe is one of the best small cities in America to spend the weekend. But on New Year’s Eve? 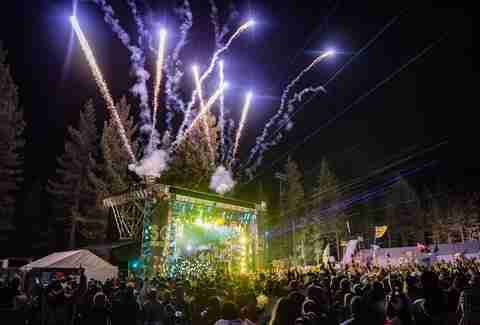 It's packed with Californians there to gamble, ski, and après-ski for the holiday, and from December 29-31 this year it hosts the annual SnowGlobe Music Festival, arguably America's best cold-weather EDM event. This year's headliners include Above & Beyond, Diplo, and Eric Prydz, and even if you’re not into electronic music the atmosphere still makes for a world-class party. 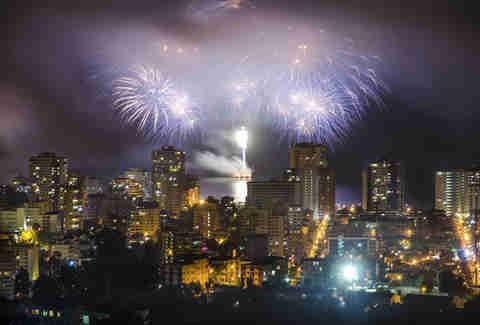 Not to be confused with your favorite NCAA bracket-buster, this Chilean city (pronounced and spelled differently than that school in Indiana) boasts one of the biggest NYE fireworks displays in South America. And that’s still pretty much an afterthought to the three-day beach bonanza in Chile’s oldest port city. It all starts on December 28 and sees roughly a million people make their way to the beach, culminating in a pantheon of pyrotechnics blasting off from barges that stretch from Valparaíso to Viña del Mar. Once the display over, the party most certainly is not, as tens of thousands stick around and bang on until sunrise. 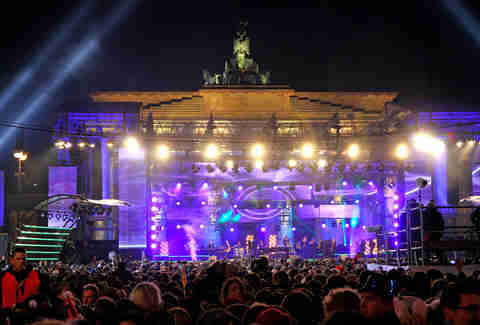 You might actually see Berlin’s famous New Year's Eve party on TV, since the annual Silvester celebration on the Party Mile near Brandenburg Gate draws a million people and some first-tier rock bands. But what you probably won’t see is the after-party that can go ’til noon the next day -- this is one of the world’s best party cities, after all. Plus, there’s the annual Berlin Silvesterlauf the afternoon prior, an event in which runners have to flip pancakes while they race. Also not televised: the annual free 4K New Year’s Day race, where people who got to sleep before 8am burn off a few of those New Year’s drinks. 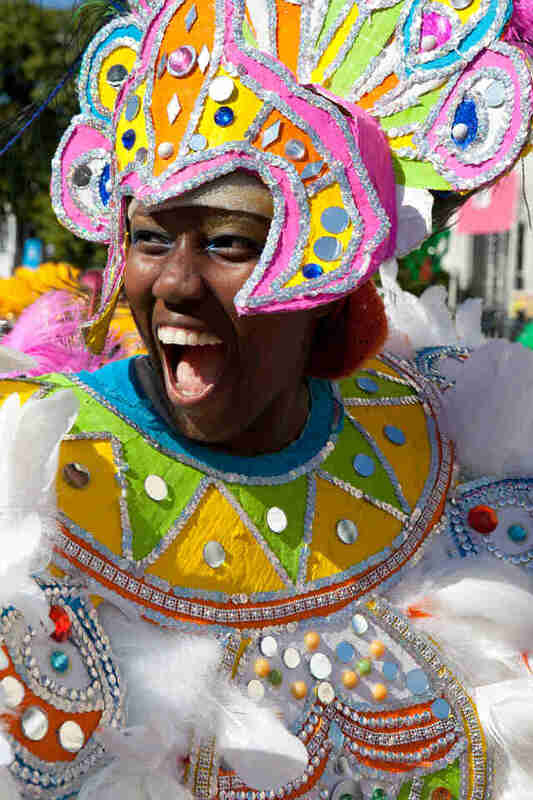 Almost every country in the Caribbean has its version of Carnival. 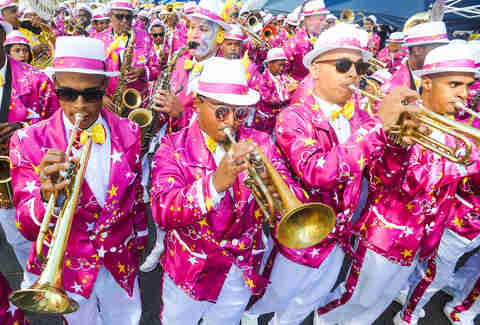 The Bahamas chooses to do its version at New Year’s, when boisterous Junkanoo parades fill the streets of Freeport, Nassau, Alice Town, and other cities around the islands. 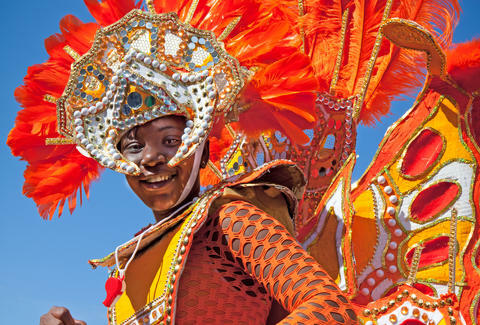 The parades are an island Mardi Gras ripe with small outfits, soca music, and the uninhibited vibe you’re looking for on New Year’s Eve. 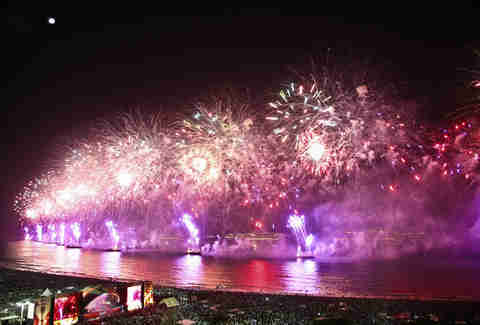 Most of said parades end with all-out beach parties and, of course, the requisite fireworks displays over the sea. If Nassau is your pick, keep the party going at posh pools, a white-sand beach, the Caribbean’s largest casino, and dope restaurants (hit Cleo for exceptional Mediterranean small bites). Though this party takes place near the US-Canada border, its essence is unequivocally Canadian. You can see the fireworks from both sides, but the real party lies north of the border in Queen Victoria Park, where an all-Canadian lineup plays a nightlong concert leading up to not one but TWO fireworks displays. 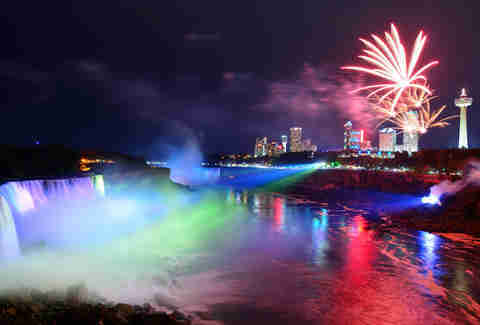 The biggest NYE crowd in Canada jams into the park and tries and keep warm with food and drinks until the colors hit the sky over Niagara Gorge at midnight. Watching fireworks over the water is fun until you find yourself 900 rows deep and looking up into the sky at fireworks that you can’t even see reflect on the water’s surface. However, if you want to spend the warm summer day camped out atop Cape Town’s Table Mountain, you can catch the show with a perfect view out over the water and the city below with minimal people blocking your view. And that’s just the beginning. 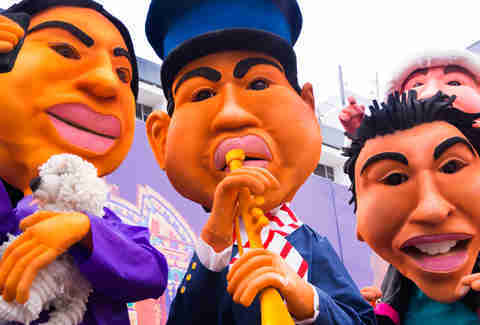 The party continues well into New Year’s Day, culminating in the Cape Town Minstrel Carnival Parade, where 10,000 people in painted faces wind their way through the city to ring in 2019. In addition to being one of the best up-and-coming food cities on the planet, Quito also has one of its coolest New Year’s traditions. Here, locals take to the streets with scarecrow-like effigies called “viejos,” made to represent ex-lovers (or perhaps… certain politicians) who did them dirty, sometimes with the grievances written right on the body. At midnight the figures are burned, symbolically purging the bad from the previous year and welcoming in the good. Every little bar in every little neighborhood has a party, and people are welcoming to visitors who want to celebrate with them. 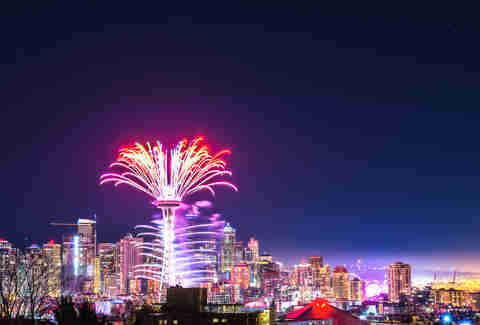 Watching fireworks spring out from the Space Needle is one of the most iconic images of New Year’s Eve in America, and one of the cool things about Seattle is you can see it from a ton of different places. Sure, you can join in the revelry at Seattle Center, where the crowds are far thinner and far warmer than in Times Square. But for a broader perspective head to one of the many parks with views of the Needle, such as Gas Works, Alki Beach, or Kerry Park, where all the best pictures of America’s best skyline come from. Seattle also has some of the finest and more varied beer in the country, so you’ll have a lot more to celebrate with than just Champagne. When you’ve only got sunlight for, like, four hours, any excuse to light up a fire in the middle of the afternoon seems like a good one. 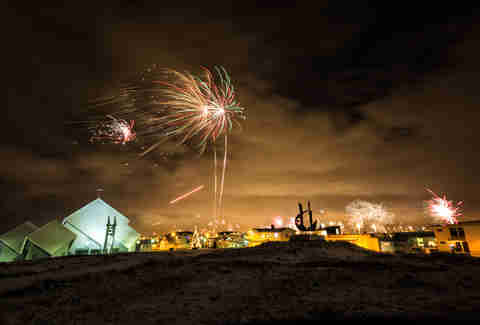 That’s why Icelanders start the New Year’s festivities a little before 4pm, with bonfire parties all over the city, meant to burn away the previous year’s negativity. From there pretty much everyone in Reykjavik has their own little private fireworks show, leading up to the main national display with literally tons of fireworks exploding over the city. On good years, the Northern Lights have even been known to join in the fun, but even lacking those, Iceland’s newfound reputation as a party destination has made its NYE club nights some of the best in the world. Icelanders are personally quite friendly, if in a droll way. Just make sure you pack your wallet, get ready for mind-blowing scenery, and memorize these money-saving tips. Matt Meltzer is a staff writer with Thrillist who thinks New Year's Eve is UNDERrated. Follow his adventures on Instagram @meltrez1.